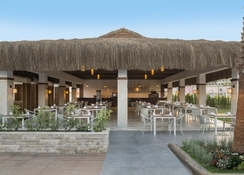 Aska Lara Resort & Spa is located in the Lara area. This 5-star all-inclusive resort hotel features an aqua park, swimming pools, restaurants, a fitness centre and Turkish bath. The property offers a private area on the beach as well. Free Wi-Fi is accessible in public areas and a 24-hour front desk are also available. 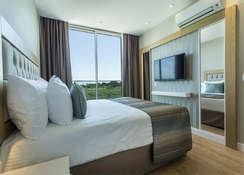 The guestrooms at come with a flat-screen IP TV, air conditioning, electric kettle and a minibar. Featuring a shower, private bathrooms also come with a hairdryer and free toiletries. Some rooms in the property have a balcony and some also has sea view. There are four a la carte restaurants, which serve a variety of dishes from traditional Turkish, Far East and Italian cuisines. The property also has bars, where also have a variety of refreshments and beverages. Located in lovely Side, opposite a beach, the Aska Lara Resort and Spa is a fantastic hotel for couples and families alike. The Antalya Airport is about 15km from the property. The Wet’n Wild Park is about 500m from the hotel. 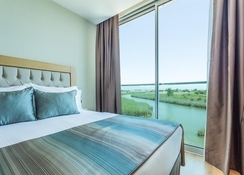 The 545 guestrooms at the Aska Lara Resort and Spa are categorised as standard rooms, family rooms, connecting room, suites, king suites, economy rooms and accessible rooms. The rooms come with all the necessary amenities required by the modern traveller. 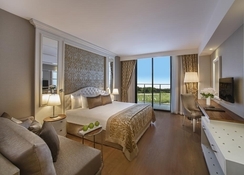 The Aska Lara Resort and Spa also features exclusive River Suites, which are 100m from the main building. These suites have added facilities and amenities when compared to the standard guestrooms. A shuttle bus service is provided from the River Suites and the theme park and Aska Lara Resort. River suites guests may benefit all services and facilities within all-inclusive concept at the theme park Wet & Wild. Guests of the resort may use main restaurant (open buffet) for breakfast, lunch and dinner. 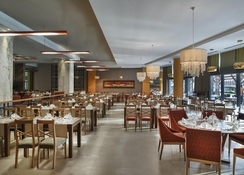 There is a wide choice of restaurants at the Aska Lara Resort and Spa. From traditional Turkish cuisine to international dishes to Italian and exotic Far Eastern recipes, you are spoilt for choice. There are also several bars that serve fine wine, tasty beers, strong whiskey and fine tea and coffee. There’s also a nightclub for you to let your hair down and dance till the sun rises! Enjoy daily breakfast lunch and dinner in open buffet style. 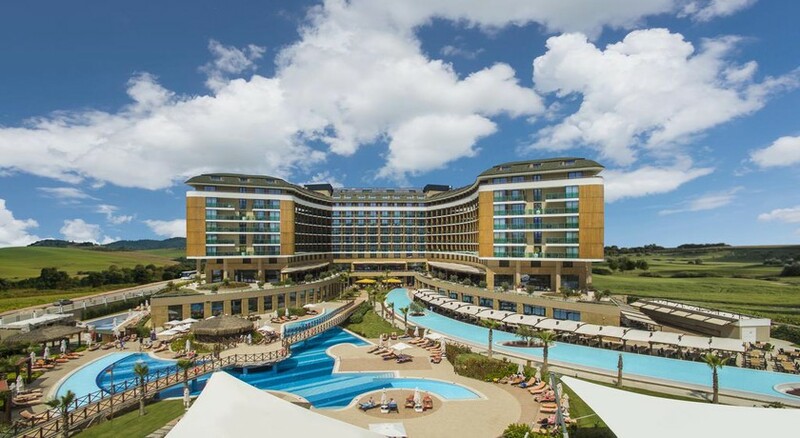 The Aska Lara Resort and Spa features an aquapark, several swimming pools, a state of the art fitness centre and a lovely spa with Turkish bath. The resort private beach area is full of sun loungers and parasols, where you can relax the entire day with delicious cocktails being served to you from the beach bar. For those who like to stay active during their vacation, there are basketball fields, tennis courts, and several avenues for water-sports at the beach. Please Note : Only Infants age from 0 - 2 years are not allowed in the following room types. from the moment we stepped into the hotel, we were treated with the upmost respect and courtesy. It was very classy and nice, with many extras included as free for the package you chose. The foods great with many cuisines and the staff at the hotel were very friendly espically the manager and staff at the front. top hotel great food and clean rooms. only issue is the advertising of the shuttle which u need to take across every time you want to go the beach or aqua park. this wasn't stated and after a few days it becomes a bit of a mission taking kids and buggy across. pictures on the website a very misleading and was not told this upon booking. unfortunate I wouldn't book this hotel again only for this reason but overall a very nice stay.